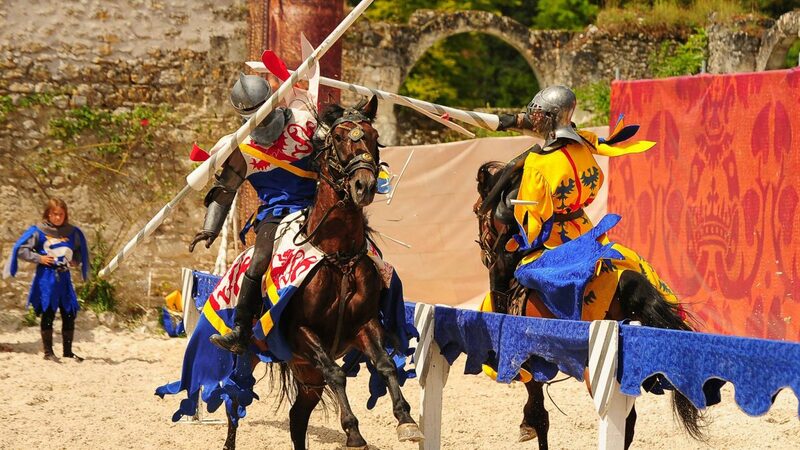 Enjoy the experience of a day in Chambord: let your castle tour be guided by the HistoPad, and attend a show in which horses and birds of prey bring back to life the jousts and combats of the Renaissance. In the stables of Maurice, Count of Saxony, embark on a grand cavalcade in which horses set the pace. 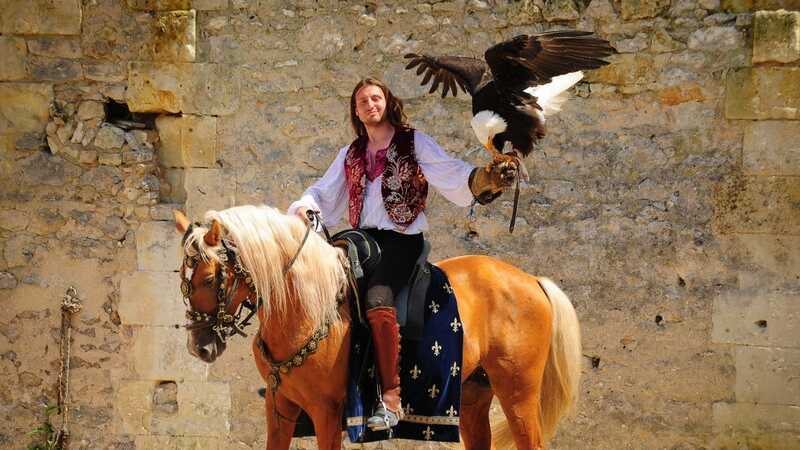 You will rub shoulders with birds of prey and be immersed in the atmosphere of François’ court; his reign will have confided to you its secrets. Tickets: at the entrance of the castle, directly to the Stables of the Marshal of Saxony, to the reception hall (near the parking lots). Tickets are checked at the entrance of the show. In French. Summary leaflets translated into English, German, Dutch, Spanish, Italian, Russian and Chinese. €15,50 per adult. €12 from age 5 to 17. Electric boat trip on the canal at the foot of the castle , which offers another unique perspective on the monument. The visitors can so take advantage of a privileged setting in complete peace. From 31st March au 04th November 2018. Boardind open from 10 am to 7 pm. 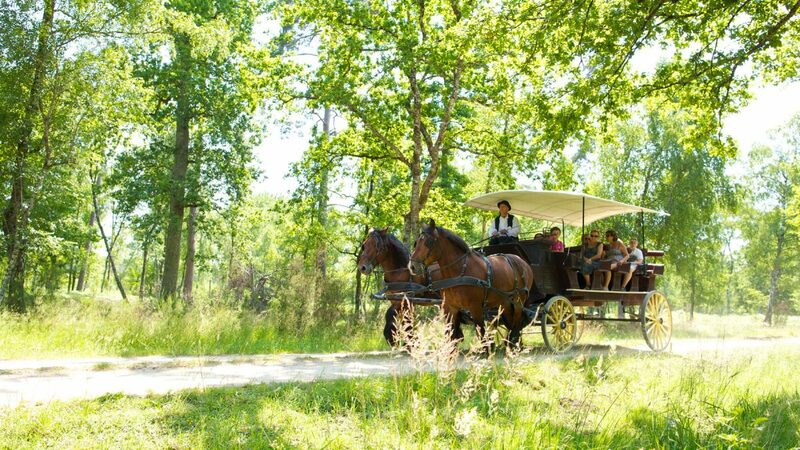 To discover the fauna and the flora, a coachman will take you in a carriage to the private section of the estate. 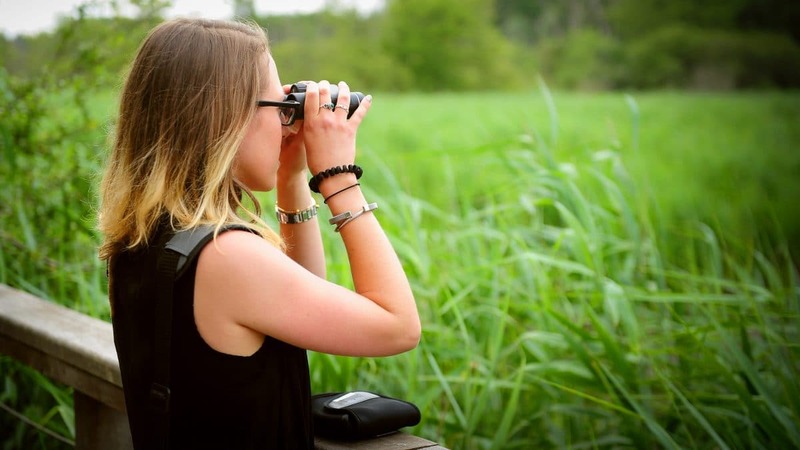 You may catch a glimpse of stags, roebucks or boars who roam freely, or perhaps the amazing osprey who comes to nest on the treetops when the weather is nice. Carriages 20 seats. Departure of the promenade in front of the stables of Maurice, Count of Saxony, Maréchal de Saxe. Departure times: 1 P.M. (on reservation and depending on availability), 2 P.M., 3 P.M., 4 P.M., 5 P.M. 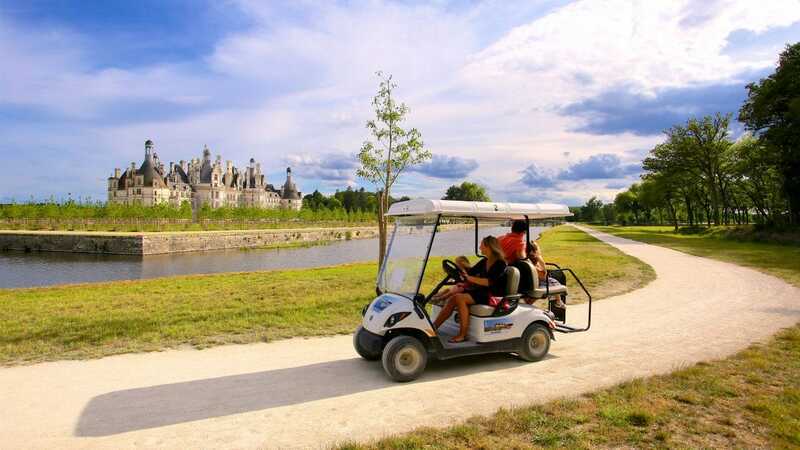 The promenades provide a limited number of riders (4-5 persons) with the privilege of entering and discovering the National Reserve of Chambord, an area closed to the public in which stags, does and boars, among other fauna, roam freely. The promenades take place only at sunrise or sunset, optimal times of day to appreciate the wildlife. Discovery of the area exterior to Château and of its National Reserve (area closed to the public in which stags, does and boars, among other fauna, roam freely). 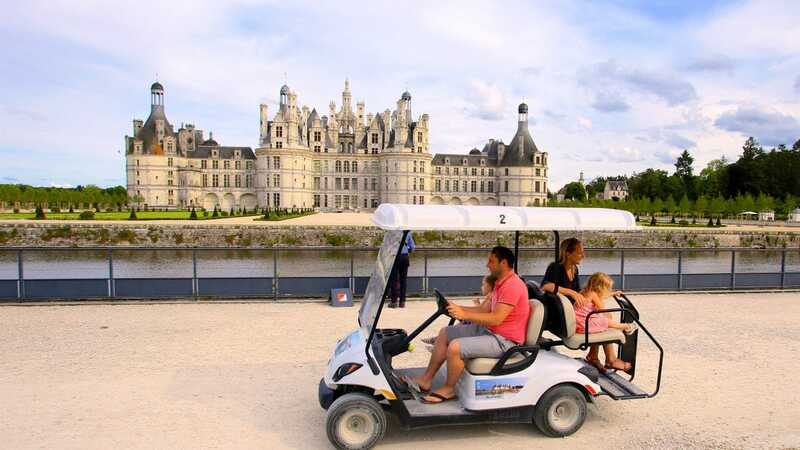 These promenades are addressed to a small number of persons (from 2 to 8), who shall be offered an exceptional tour, including a Champagne break, of the National Reserve of Chambord. 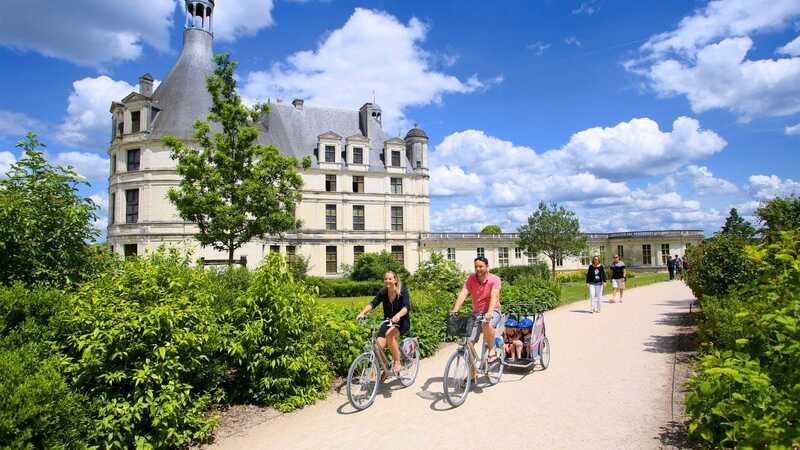 Stroll around the castle by bike or rosalie! 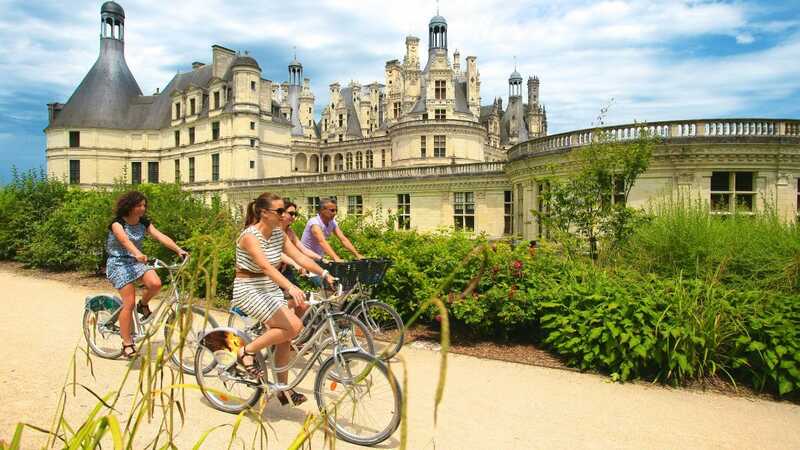 As a group, as a family, as a couple, a 15 km cycle route in the heart of the area open to the public will allow you to meet the treasures of the forest: flora and animals are not far! 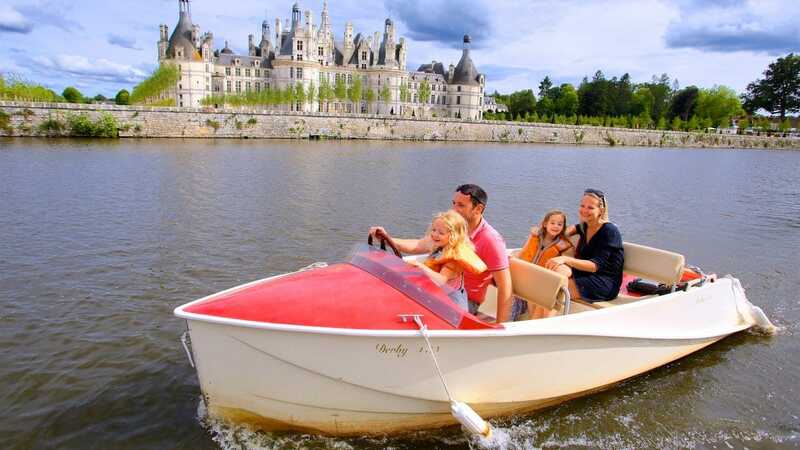 The more sporty will be able to rally the surrounding sites and castles and appreciate the sweetness of the Loire. Discover the surroundings of the castle and its park! 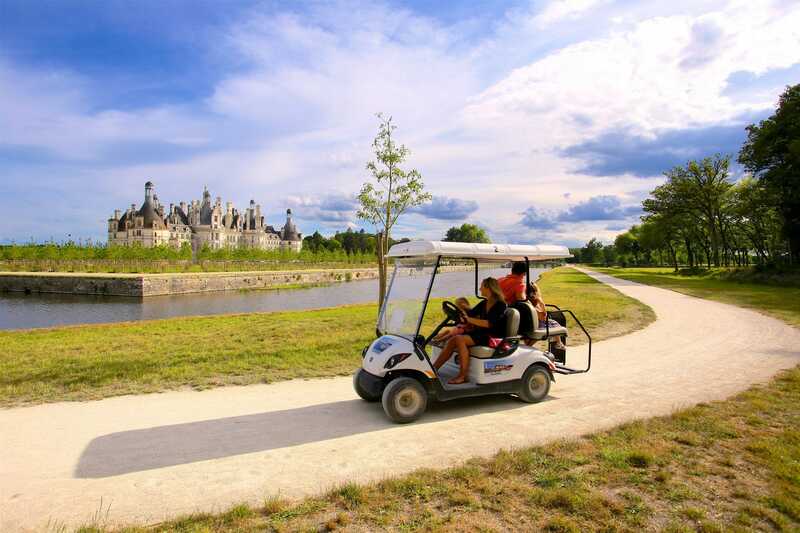 With family or friends, come to rediscover the approaches of the castle of Chambord thanks to the electric vehicles. 23 kilometers of footpaths are accessible all year round, in an area open to the public to explore the fauna and flora. 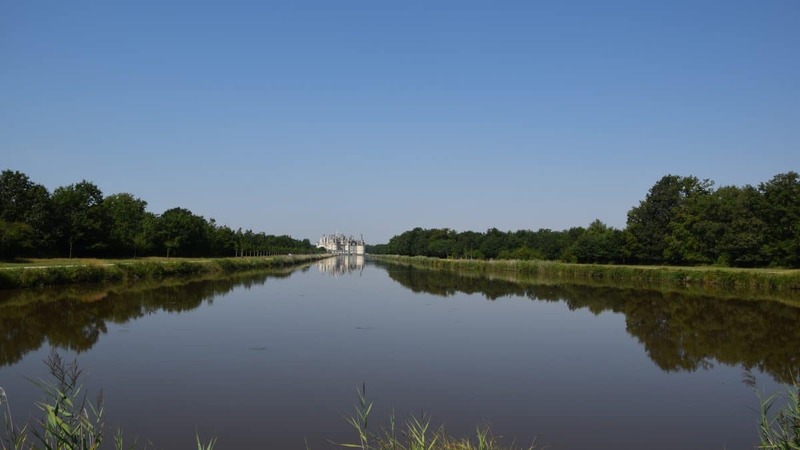 Around the canal, a circuit of 4 km with observatories, pontoons and pedagogical signs (in French and English) waiting for the most curious. 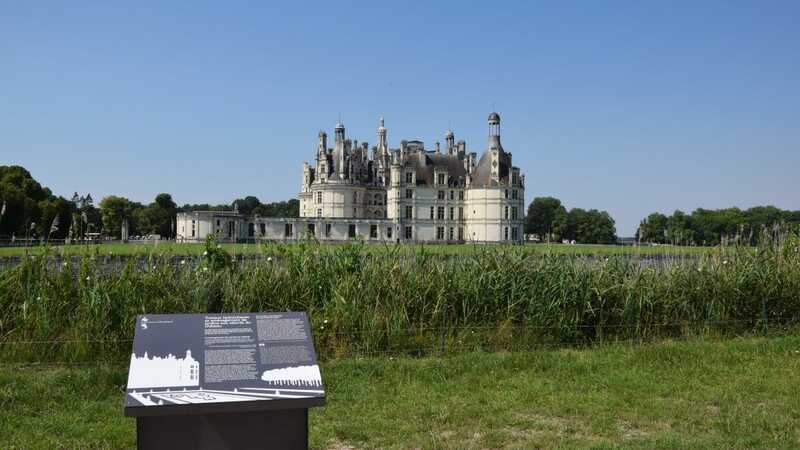 A map of trail (in French and English) is available at the reception of the castle. On the roads of the domain, take the time to stop for a few minutes on one of the observatories in free access. Open your ears and listen to the sounds of nature. Observe far off in the meadows or at the edge of the woods, you may see some hosts of the forest. To anticipate the 500th anniversary of Chambord, we are launching a campaign to adopt a vine in Chambord’s historic vineyard, planted in 1518. 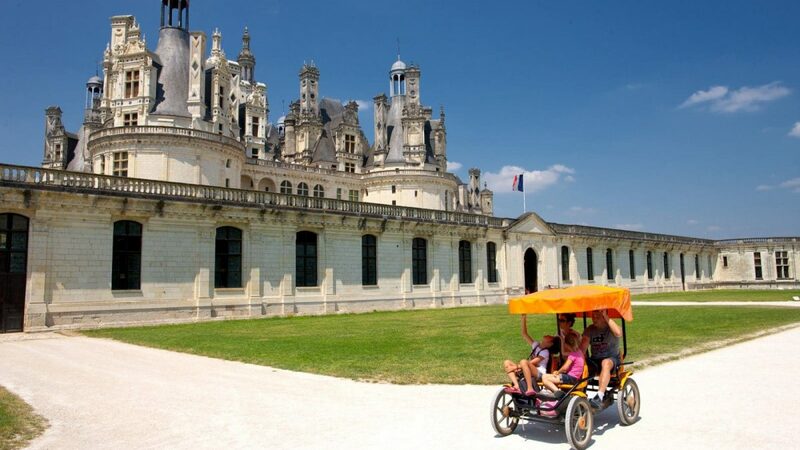 Following the terrorist attacks in Paris on the night of 13-14 November 2015, and so as to ensure visitor safety, the National Estate of Chambord has been applying the preventive measures enacted by the government for public administrations . id, Nullam accumsan Aliquam Donec id eleifend dapibus leo neque.